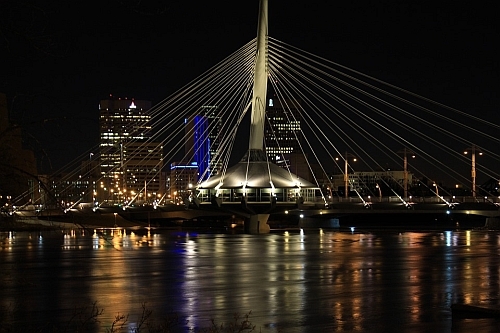 Air Canada and WestJet are currently showing flights from Ottawa to Winnipeg, Manitoba for $275 CAD roundtrip including taxes. 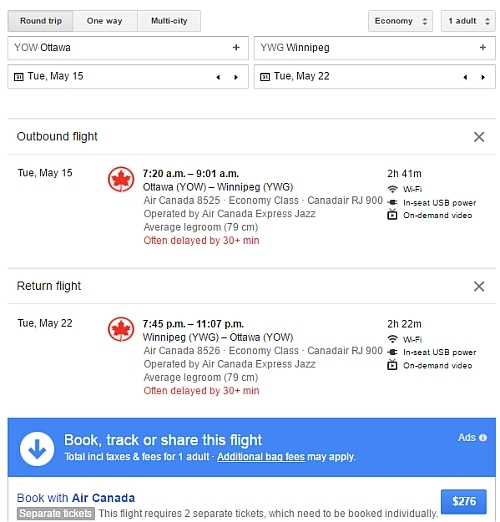 Flights between Ottawa and Winnipeg have always been very expensive. These flights are about 46% below the typical best roundtrip prices. 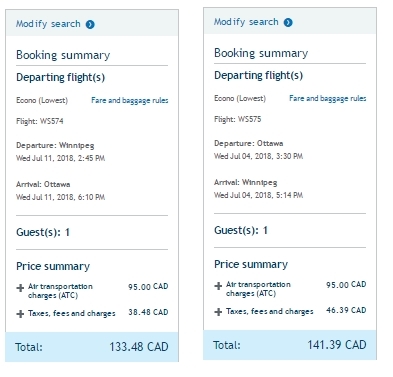 Vice-versa flights (Winnipeg to Ottawa) are also available for a similar price. ottawa, yow, flight deals, westjet, air canada, canada, winnipeg, manitoba, ywg and north america.